This exhibition examines the changing nature of the ceramics studio across the 20th century and how a new generation of UK based artists are looking again at ideas of art and craft. 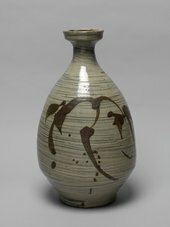 Highlights include ceramics from studio potters Bernard Leach and Shoji Hamada, shining a spotlight on the relationship between Japan and the UK from the 1910s to 40s. Discover the Californian ‘clay revolution’ of the 1950s and 60s, showcasing sculptures from Peter Voulkos, Ken Price, Rudy Autio and Ron Nagle, alongside a new commission by contemporary British artist Jesse Wine.